This was on the road along the ridge of Santa Ynez Mountains, East Camino Cielo. 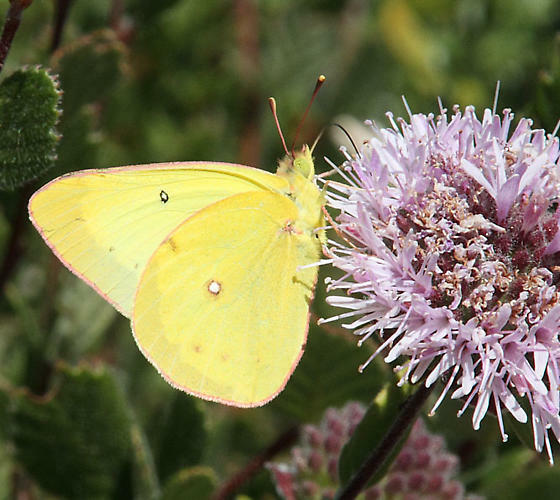 which is actually the common Sulphur on the coastal side of southern California. Seems odd that we have so few photos of it on BugGuide.